Just few weeks after sending invites for players for the Beta iOS event, Epic Games have officially announced the fully release of Fortnite on Mobile iOS precisely. Now, Everyone can download Fortnite without been invited by Epic games or receiving an invitation code from your friend already playing the game. You just need to head over to the App store here to download 'Fortnite' the game, login into your account and jump straight into the 100 player battle royale. Fortnite is compatible with iOS 11 iPhone SE, iPhone 6S, iPhone 7, iPhone 8, iPhone X, iPad Mini 4, iPad Air 2, iPad 9.7' (2017) and iPad Pro. For some reasons this recent version of Fortnite doesnt support iPhone 5S, iPhone 6, iPhone 6 Plus, iPad Air, iPad Mini 2, iPad Mini 3 and IPod Touch. As an online multiplayer game you also need a stable internet connection to play the game. 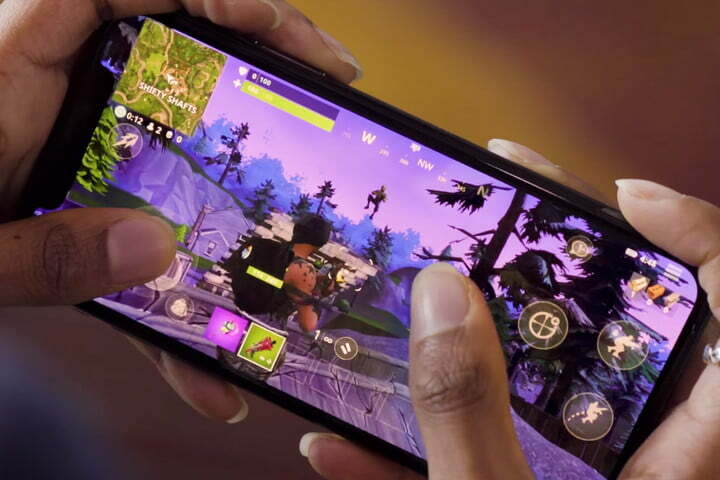 However Epic games haven't announced a release date for Android devices yet, but does state that ; "Android device support is coming within the next few months. If you are on an Android device, please select "Get Started" to sign up. We’ll notify you when your Android device is supported". Fortnite recently broke YouTube streaming record with over 1.1 million live viewers in a 3 hours live game-play that featured a Spanish YouTuber 'elrubiusOMG' on March 25th at an organized Fortnite event, it will be interesting to see how it fares compared with PlayersUnknown's Battlegrounds (PUBG) which already have over 100 million downloads on Google Playstore alone. Fortnite game is popular game in 2018 because of its concepts and amazing features.It it multiplayer section game so you can all enjoy the battle Royale together.you can visit site here for more about fortnite battle royale.